The Sight-Line Add-On Chase from Winsted is an essential component for users who wish to configure a modular Sight-Line security console to suit their needs. Sight-Line consoles are designed for seamless integration into a command and control environment. Their flexible design options and customizable accessories work together to create technical furniture that enhances a workflow by optimizing the effectiveness of operators. This Add-On Chase is perfect for users who would like to expand the size of their console. 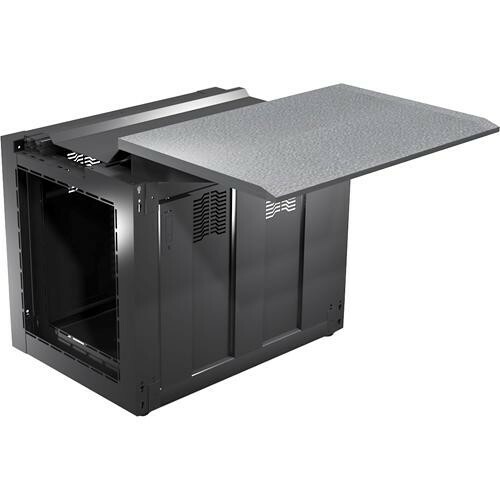 Featuring a width of 48" (121.9cm), the chase features a steel frame, decorative end panels, a comfortable work surface, internal bottom front shelf, front and rear vented doors, and a cable management system with a hinged cover. It features Winsted's exclusive Versa-Trak monitor mounting rail, perfect for attaching LCD security monitors.